Apartments On Danube In City Center i Beograd, Serbien: Reservér nu! 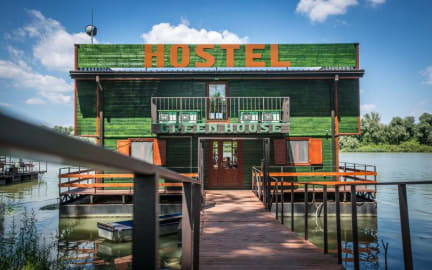 The Green House hostel is located on the right bank of the Danube, in the middle of “Friendship Park” (Park prijateljstva) popularly called Ušće, near the bicycle track, walking and jogging path, across from the Great War Island. At the entrance of the hostel is a modern reception desk with a very professional staff, at your service 24h. The hostel has 11 air-conditioned rooms, ground level (2 rooms) and second floor (9 rooms) with a view of the river and a large living room with a bar and a kitchen. There are two balconies on the ground level and second floor, with a view of the river, Zemun and the Belgrade Fortress. 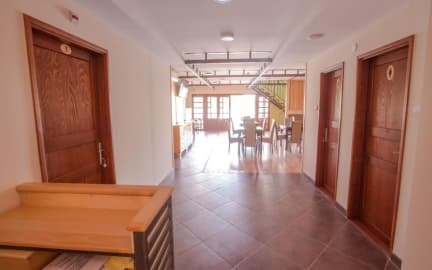 The rooms are equipped with comfortable mattresses both on the double beds and the bunk beds, small wooden closets and lockers with keys and LED lighting.All rooms have their own bathrooms with all the necessary utilities and shower, as well as an air conditioner for both cooling and heating.